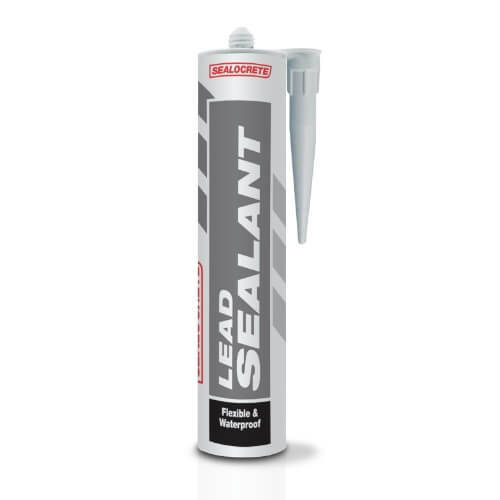 Sealocrete Lead Sealant is a low modulus silicone sealant for use where a permanent elastic seal is required. Ideal for sealing around lead flashing, cast iron, steel, brick, stone, uPVC, plastics and concrete. It is tough, flexible, waterproof and will not crack or shrink. For external use only.